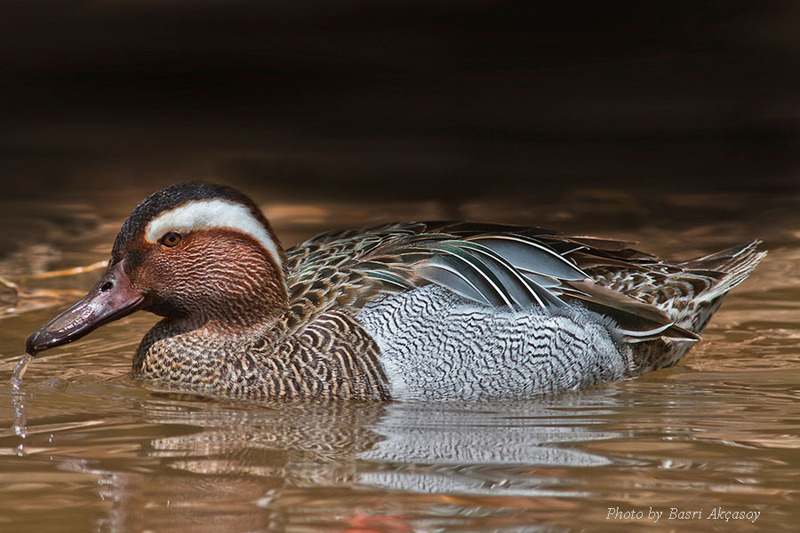 RANGE: Wetlands, marshes, flooded grasslands, and lakes throughout Europe and central Asia. Winters in central Africa, and from Pakistan across to southern China, Philippines, Indonesia, and Australasia. GENERAL INFO: It is easy to breed them and they are winter hardy. They can get very well with the other ducks. 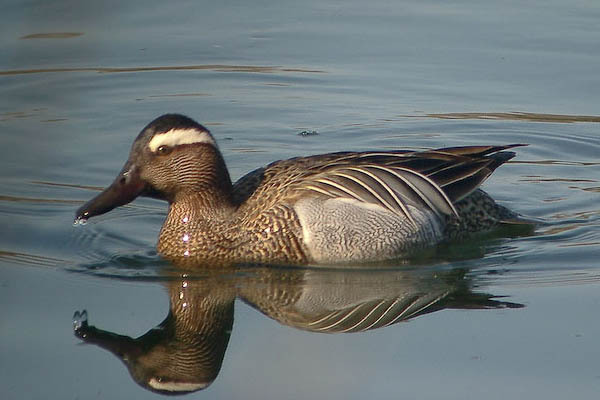 DESCRIPTION: Male - The male Garganey has a brown head and breast, a distinctive broad white stripe or crescent over the brown eye, upperparts are dark brown with pale feather edges, loose black and white scapulars covering the green speculum, light greyish flanks and belly, and grey beak and legs. 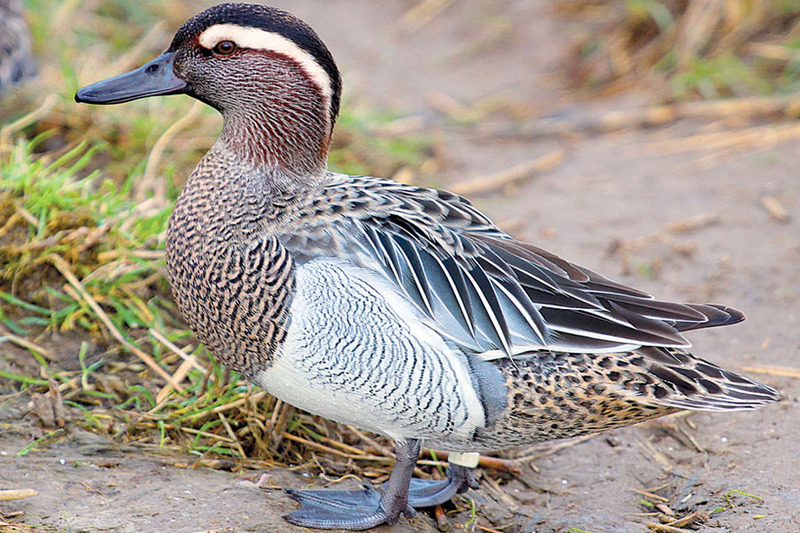 Female - The female is brownish with a dark crown and dark eye-stripe. 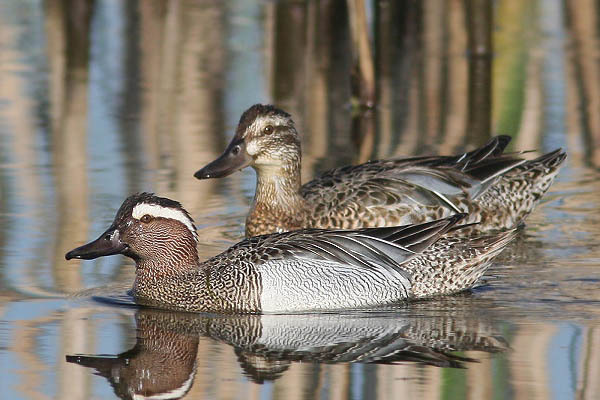 The female Garganey is similar to the female Teal but has a white throat and is paler. 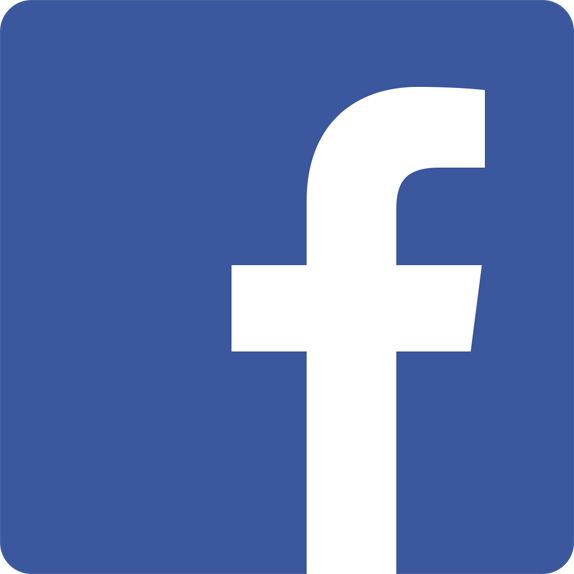 NUMBER OF EGGS IN A YEAR:9-10 eggs.